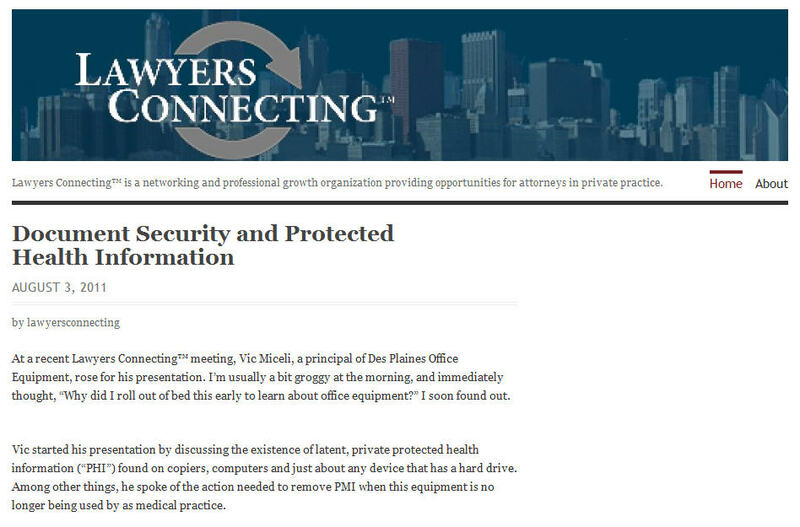 Lawyers Connecting™ is a resource for lawyers in private practice focusing on professional growth through the on-going sharing of best professional and business practices.. Presently with two groups in the Chicago area… to find out more...WHAT we are and WHY we are. The latest Information of interest from us and our members on a variety of topics, including education on substantive legal topics. Of course, nothing on this blog constitutes legal advice: go hire an attorney! Meeting and other dates of interest for our group and our members. Click to Join Us .